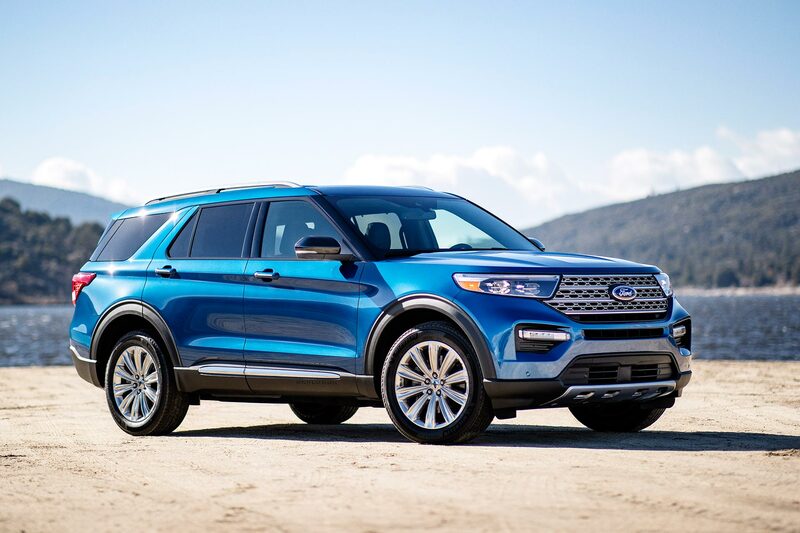 The pressure is on for Ford with the new 2020 Explorer, having made a commitment to make the top-selling SUV in America even better. Not content with a simple facelift, the Blue Oval has also added a new performance model and a hybrid version. Ford does not have the mid-size market to itself though, with Kia now making a dramatic entry in Detroit with the flagship Telluride. It promises to be the biggest and most luxurious offering from the brand, and could pose a real threat to the Explorer. 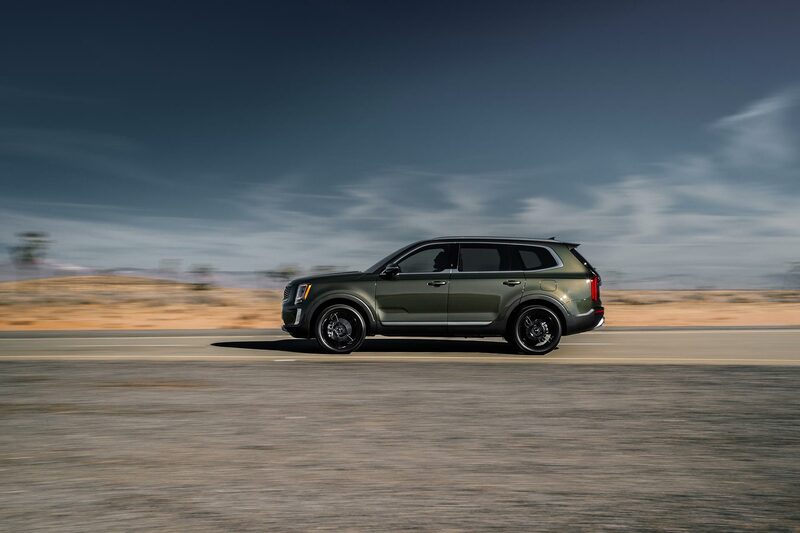 Designed in Irvine, California and set to be built in West Point, Georgia, Kia claims the Telluride is made in America, for Americans. We take a look at how the hot new Korean squares up against the established King of the middle ground. 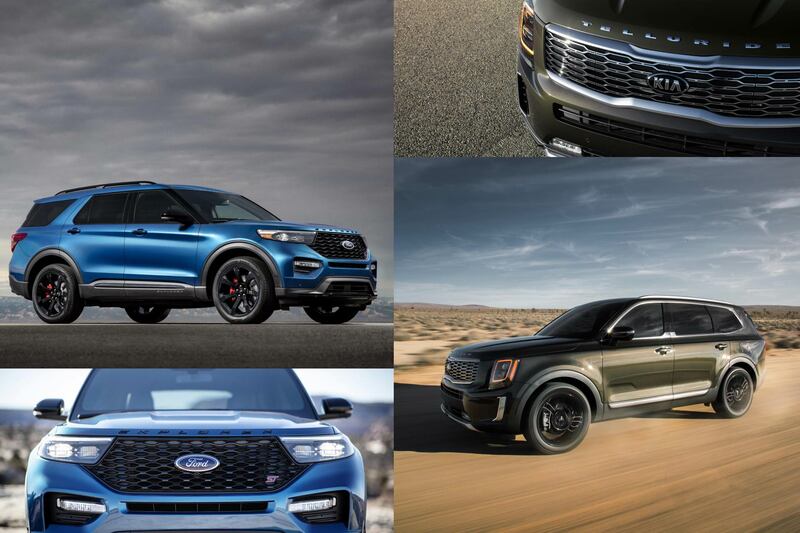 Proudly promoted by Kia as the biggest model offered by the company to date, the new Telluride comes close to matching the size of the 2020 Explorer. Whilst Kia may be pitching the Telluride as a large SUV, the dimensions put it firmly in the mid-size sector. An overall length of 196.9-inches (5,001 mm) for the Telluride is just marginally shorter than the 198.8-inch (5,049 mm) Explorer. The new Korean also comes up shorter on wheelbase at 114.2-inches (2,901 mm) and a width of 78.3-inches (1,989 mm). For comparison, the Ford records 119.1-inches (3,025 mm) and 78.9-inches (2,004 mm) against the same respective measurements. Where the Telluride can notch up a win is with seating capacity. Although both feature three rows, the Kia claims victory with the availability of eight seats in certain trim levels against the Explorer’s seven. At launch the Kia is offering just one engine option. The 3.8-liter Lambda-II V6 features gasoline direct injection, but no turbocharging. This means 291 horsepower, with an accompanying 262 lb-ft of torque. An eight-speed automatic transmission is standard, sending power to the front wheels. An optional on-demand all-wheel drive system can be specified on all Telluride trim levels for those who want extra traction. 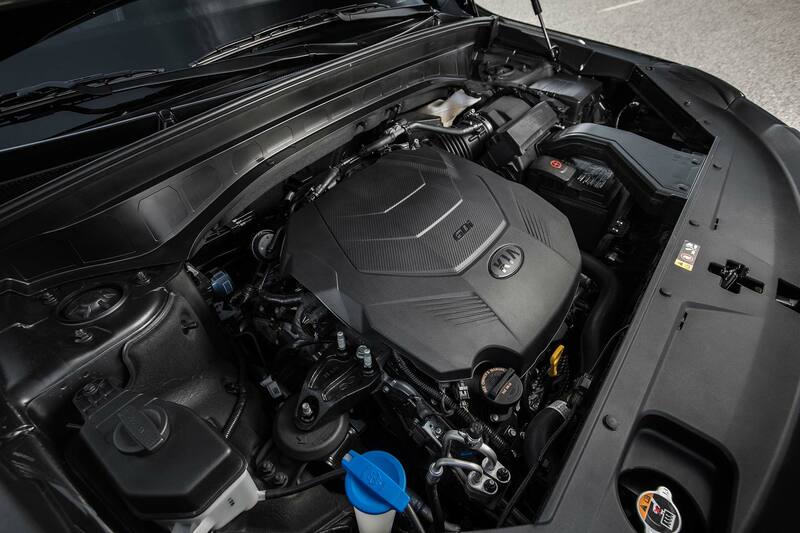 The 2020 model year Explorer offers up a range of four different engines, starting with the 300 horsepower 2.3-liter EcoBoost four-cylinder unit. A larger 3.0-liter V6 EcoBoost engine is offered for the Platinum model, featuring 365 horsepower and 380 lb-ft of torque. Making news at the Detroit Auto Show was the announcement of the first performance Explorer ST model. Using a modified version of the 3.0-liter EcoBoost engine, the fastest-ever Explorer comes with 400 horsepower for a potential 143 mph top speed. At the other end of the scale, the new Hybrid Explorer is estimated to be capable of covering 500 miles between fill-ups in rear-wheel-drive configuration. As with all 2020 Explorers, the Hybrid features a ten-speed automatic gearbox as standard. Rear-wheel drive is the default configuration for Base, XLT, Limited, and Hybrid Explorers, with four-wheel drive optional. 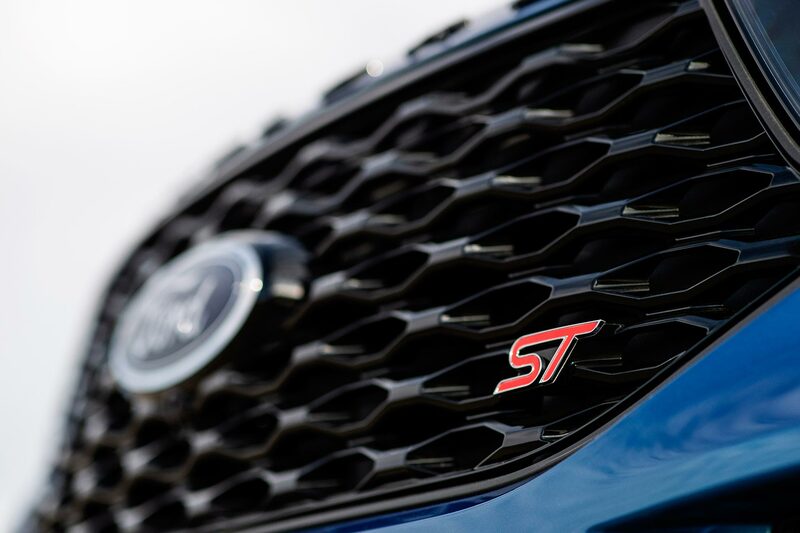 Four-wheel-drive is standard on Platinum models and the new ST trim. No mid-size SUV could claim to be built for America without the ability to go off-road or tow heavy trailers. However, Kia seems to have both bases covered with the Telluride. When specified with the optional on-demand all-wheel drive system, the Telluride is capable of juggling power between the most appropriate axle, dependent on drive mode. Selecting ‘Eco’ or ‘Smart’ will send 100 percent of power to the front wheels, whilst selecting ‘Sport’ mode will send 35 percent to the rear axle. Choosing the ‘AWD Lock’ setting will distribute power evenly to all four wheels for more serious off-road action. Downhill Brake Control is also standard, whilst towing capacity is rated as 5,000 lbs. 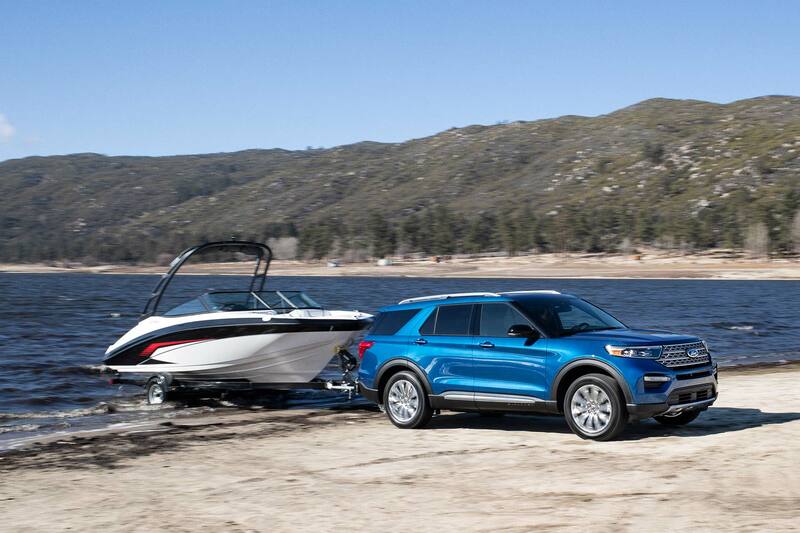 Whilst that may sound impressive, unfortunately Ford has upped the towing abilities of the revised Explorer. Models equipped with the 2.3-liter EcoBoost engine can now pull 5,300 lbs, whilst those with the 3.0-liter version can tow a considerable 5,600 lbs. Four-wheel drive Explorers are available with a new Terrain Management System, which offers up to seven different driving modes. A single center console dial includes options for deep snow, sand, slippery terrain, trail, and a dedicated towing mode. 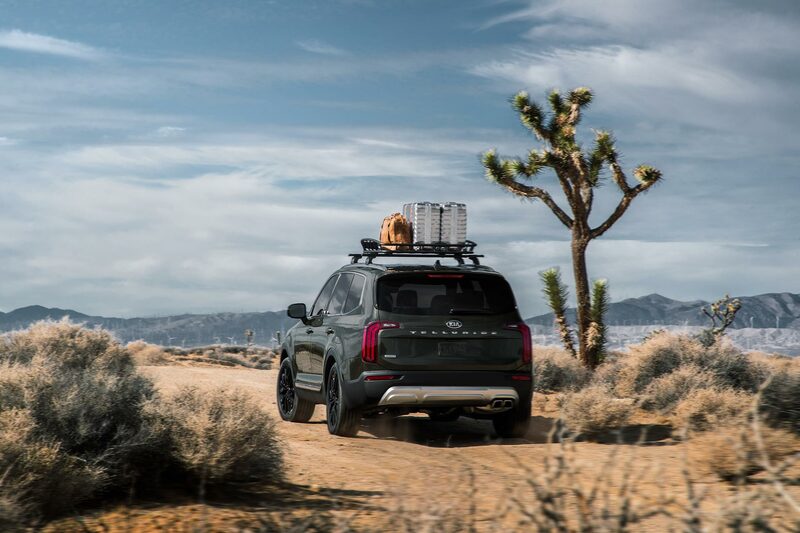 A promise of ‘rugged luxury’ is the tagline for the Telluride, with Kia incorporating premium materials and impressive options. Leatherette seats are standard on LX and S models, whilst EX and SX trim levels feature genuine leather seat trim. The range-topping SX version can also be specified with impressive Nappa leather seats, including double-stitching and extra padding. Technology is also high on the agenda, with numerous standard features and a gigantic options list. Highlights include Front Collision Warning, Blind Spot Collision Avoidance, Smart Cruise Control, and Lane Keeping Assist. 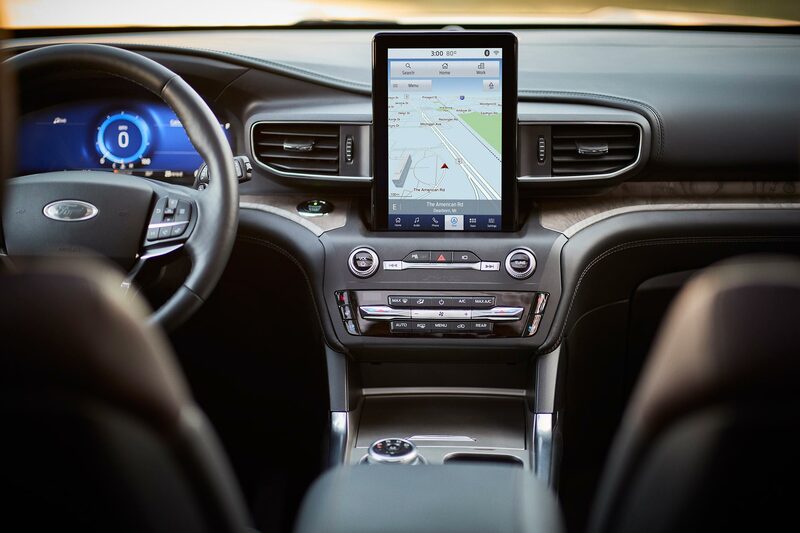 An 8-inch multimedia touchscreen is standard, incorporating Apple CarPlay and Android Auto, Bluetooth connectivity, Sirius Satellite radio, and voice recognition. A larger 10.25-inch screen can also be had, along with the option to connect two phones via Bluetooth at the same time. The Telluride features five USB charging sockets as standard, with six available on higher-spec models. It means another win over the Explorer, which can only boast four of them. All 2020 Explorers receive Ford’s new Co-Pilot 360 system. This includes automatic headlights with automatic main beam, Lane-Keeping Assist, Blind Spot Monitoring, and Pre-Collision Assist for all trim levels. Certain Explorers also now come with the option of a huge Tesla-esque 10.1-inch multimedia touchscreen, mounted in portrait format. 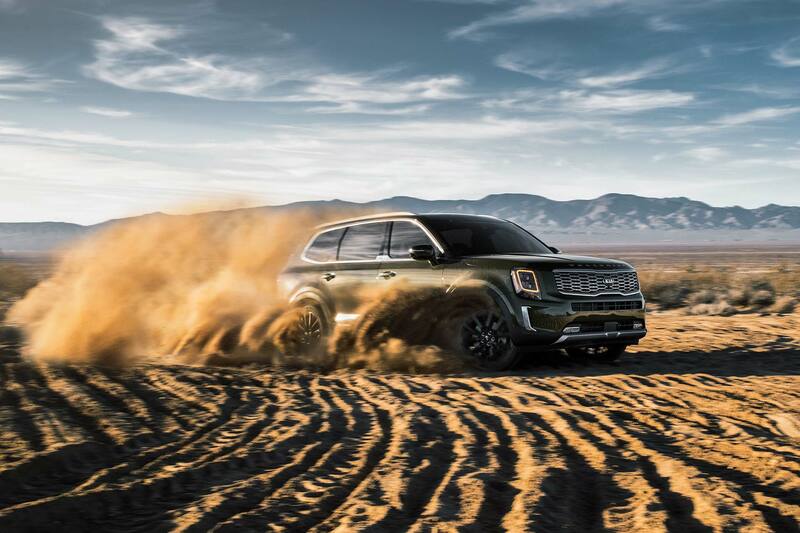 Kia has yet to announce an exact date when the Telluride will go on sale in the United States, but has confirmed it will be during 2019. Pricing will also be confirmed closer to the on-sale date. Similarly, Ford has not released updated pricing information for the 2020 Explorer. However, models will start rolling off the line at the Chicago Assembly Plant in time for delivery this summer.